So I have several panels built and have the power base all wired up. I am trying to follow the directions on github but having no success. I have installed the required libraries and board from the board manager in Arduino application. I put my SSID and password into the .ino. The github says to upload and then do the sketch data upload. I do that and both run through and reach 100%. Now when I plug in the nodemcu, the blue led flashes one time and that's all. Is this normal? You don't have to change in the Marlino.ino anything except for #define STATIC_IP false maybe. Just flash it to the NodeMCU with the Arrow to the right on the upper left (maybe it needs a aditional Libary but you will see this in the Log in the bottom). Than connect to it via you're Smartphone enter the Data of you're Router and the Name in the Webpage represents the Name of the Device that you also can see in the Router. So I re-downloaded moodlite.ino and followed your directions, but I'm having the same result. 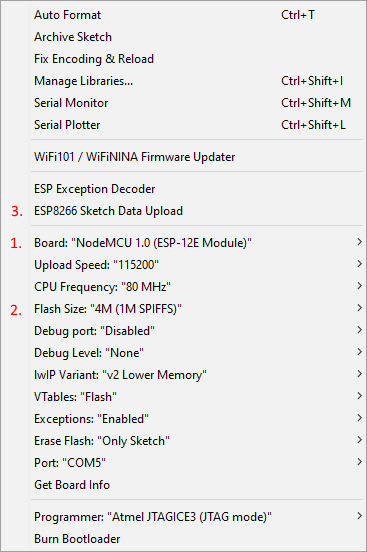 What is the normal behavior after flashing? When I plug in or hit reset button, the blue led flashes just one time. And for connecting with my phone, I assume there should be a moodlite SSID that i should be trying to connect to? And then navigate to 192.168.100.250 on my phone to complete the setup? And for connecting with my phone, I assume there should be a moodlite SSID that i should be trying to connect to? And then navigate to 192.168.100.250 on my phone to complete the setup? I will try to make a Video tomorrow and i hope that help you. You still working on that video?